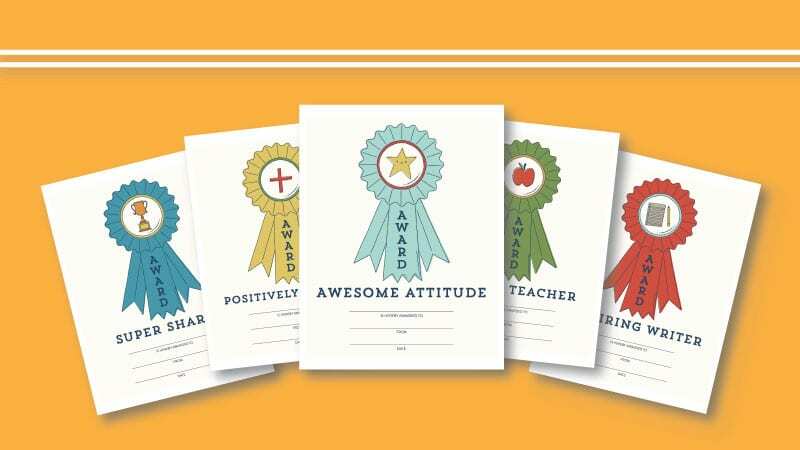 Recognize academic and social-emotional skills with these fun and colorful certificates. ‘Tis the season for end-of-the-year award ceremonies and recognition of the great progress our students have made. 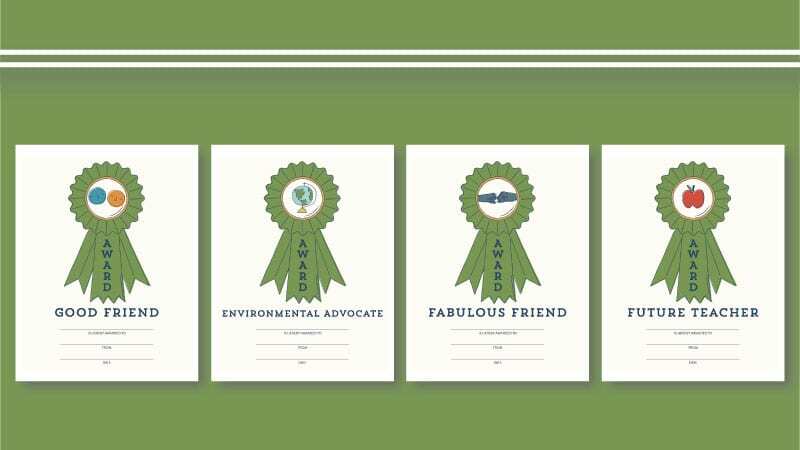 That’s why we created these free printable awards honoring all kinds of skills and attributes, from reading to organization to positivity to friendship. There are 50 printable awards in all, so just submit your email here to get the full set (in color or black and white). There are awards for inspiring writers, happy helpers, and lovely listeners. 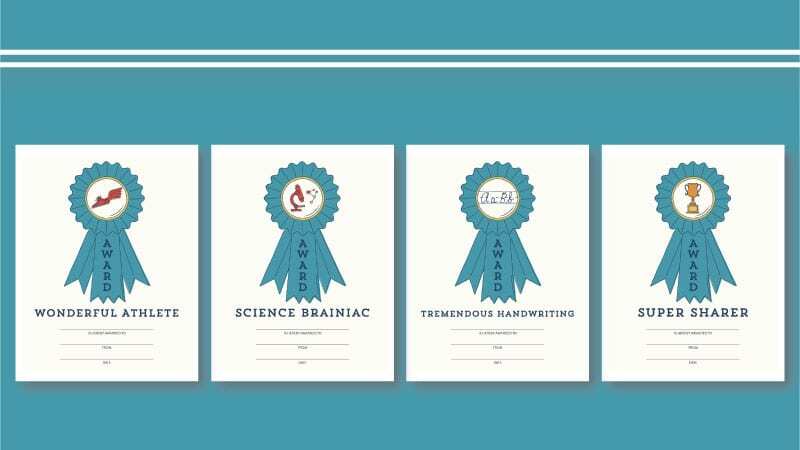 Honor your athletes, scientists, and penmanship pros. 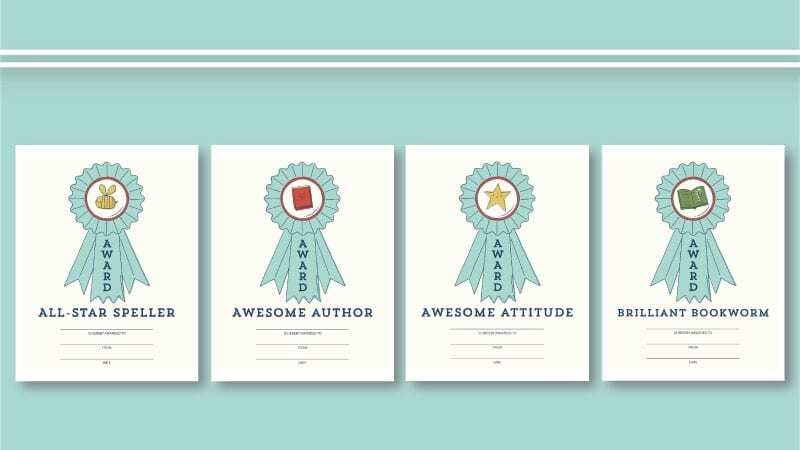 Recognize good attitudes and a passion for books. Have a future teacher in your crew? 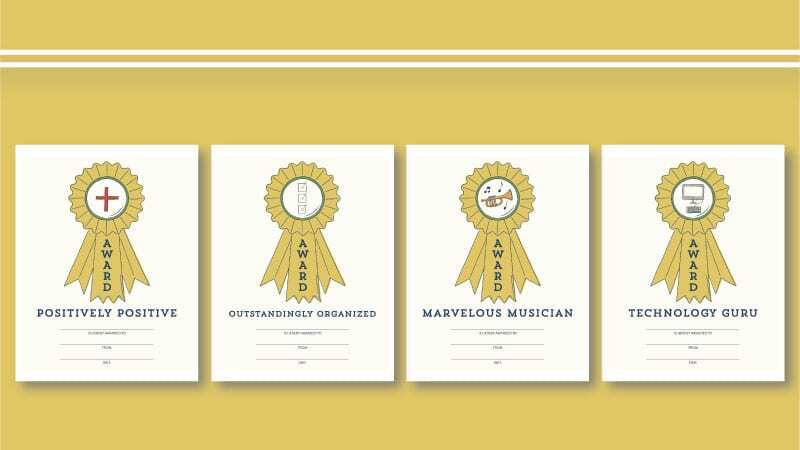 We’ve got an award for them, too. 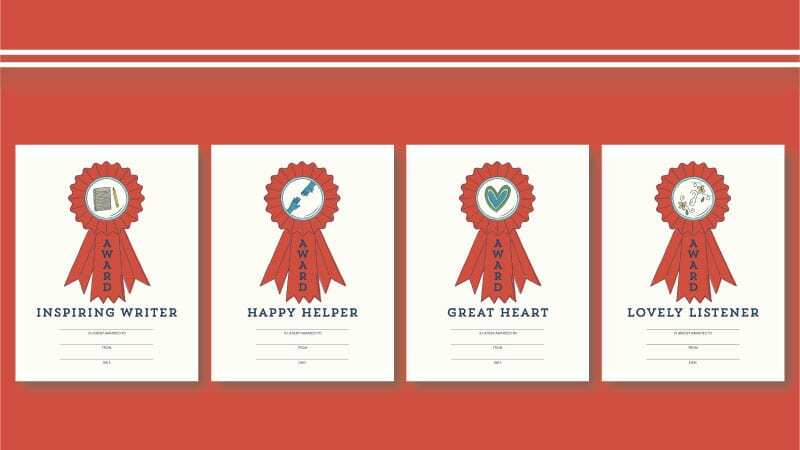 These printable awards are great for weekly recognition time as well as the end of the year. 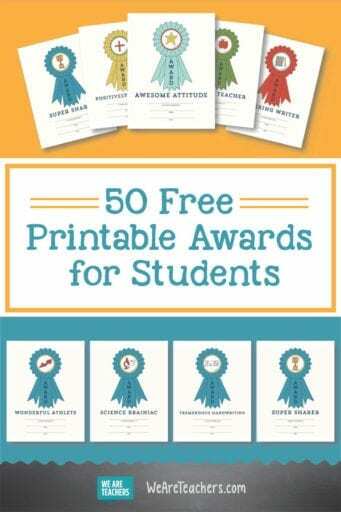 There are so many student awards in our free pack, we can’t show them all here. So just click the button below to save and print your free awards in color or black and white.